Welcome to another edition of News GaiDen! If you couldn’t tell by the title, this week we’re saying “screw you, video games” and celebrating the 18 and a half year anniversary of Notorious B.I.G.’s seminal rap album Ready to Die. Haha, not really, I’m actually just ready for more Dark Souls, which is great, because our first story this week is Dark Souls II news. Here we go…. 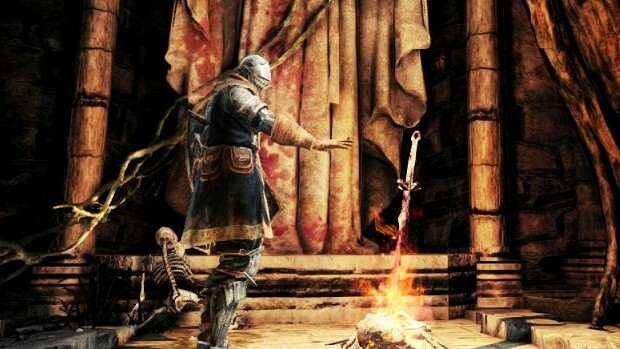 This week we got our first glimpse or Dark Souls II footage, and all I can say is “whew, well that’s a relief.” You might remember news coming out a few months ago that there was a bit of shuffling in the creative direction of the Dark Souls sequel, but it looks like the ship has not strayed off course very much at all. It looks like the amazing art design and unforgiving gameplay that the series is known for is still present, which is good news for fans of the series. The environments shown in this demo look fantastic, though I’m somewhat sad to report that this will probably be the first time I play a Souls game not on a Sony Platform. I know it’s fanboyish of me, but there is something downright unwholesome about the thought of playing this game on the PC with a 360 controller. Still, the game will undoubtedly be in top form on the PC, while lagging behind in the texture resolution and frame rate department on our now aged current gen consoles. In any case, I’m ready to die over and over and over again, whatever platform I wind up playing it on. 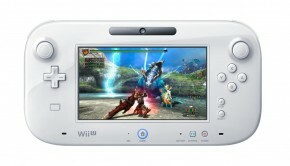 Awesome news for Monster Hunter 3 Ultimate fans. We’re finally getting off-tv play on the Wii U game pad in an update this week, because of course what we really need is a way to play even more Monster Hunter, right? I mean, we’re barely playing it at all as it is, right? Right!?!? Jesus Christ the last thing I need is a way to play more Monster Hunter. Right now the only safe places in my house are the bedroom and the bathroom, but after this it’s like all bets are off! Also coming is cross-region multiplayer for US and Europe, which is cool if you’ve got friends overseas. Neither of these updates will actually change my MH3U habits much, but it’s good news nonetheless. Good news! Just one week ago I was imagining buying a Japanese 3DS to play this game, but now I won’t have to. Although there are no confirmed dates for an American release, it seems pretty clear from this Siliconera story that the third Umihara Kawase game will be making out of Japan. This platformer series has a super devoted following online, and I’m really eager to see what all the buzz is about, so this can’t come out soon enough. I’d prefer a cart release, but if that doesn’t happen, I guess coming to eShop as a downloadable title will have to do. Nintendo is offering these two genre-defining games on the Wii Virtual Console as Club Nintendo awards through May 5th. For the uninitiated, Club Nintendo is a free reward program which lets you exchange points earned by buying Nintendo games and answering surveys about them online. It’s a great loyalty program that can get you some pretty sweet Nintendo swag and as this announcement demonstrates, some really great games. Super Mario 64 basically defined the 3D platformer as it exists today. This game was the proof of concept for an entire console, and will no doubt go down in history as one of the greatest games of all time. Super Metroid has a similarly impressive legacy. It’s the definitive Metroid game, and the one that is most often associated with the Metroid-Vania genre which it helped to create along with Castlevania: Symphony of the Night. For a lot of folks, the Metroid franchise begins and ends with Super Metroid, and while I enjoyed the prime series, this one will always have a special place in my heart. Keep in mind, before rushing off to trade in your points for it, that Super Metroid is coming to the Wii U Virtual Console this month for $0.30 as part of the 30th anniversary Famicom promotion. So, if you’re a Wii U owner you would be best off just waiting to purchase it there. anyway, that’s it for this week’s news. Until next time, keep the Calico with the Black Talons loaded in the clip.